My very first perfume gift was an abject failure. I must have been 10 at the time, and in anticipation of my great grandfather’s birthday I walked into the cosmetics shop and asked for a bottle of their best perfume. Considering that the sales associate had only one type of fragrance on the shelf, it was not a difficult choice for her. It was a glass bottle filled with green liquid labeled “Shipr” (Chypre in Russian.) My great grandfather graciously accepted my gift, but my great grandmother said that this is the type of perfume that alcoholics drink when they do not have enough money for vodka. Needless to say, my great grandfather never wore it and I developed an apprehension about chypres which only my perfumery training erased completely. These days I am still careful about giving perfume as gifts, but I love the idea of a present that can stimulate the senses. Holiday presents give me an opportunity to indulge in shopping, but they also inspire me to create my own gifts, which are appreciated by my friends and family. Speaking of home scents, I would like to mention L’Artisan Amber Ball. An intricately carved terracotta ball is filled with amber scented crystals. The perfume is rich and velvety, with accents of smoky woods and vanilla liqueur. L’Artisan suggests refilling the balls every two years, but my three year old ball is still very strongly scented. At $90 for the smallest size, it is certainly a splurge, but it is one of the most popular items sold by L’Artisan around the holidays. Potpourri does not have to come solely in the form of dusty orange slices, cinnamon sticks and unidentifiable dried leaves. In fact, making your own potpourri is very easy, and it is fresher and more fragrant than anything store bought. Build your mixture as a perfume, including both fresh and sweet, rich notes. Dried orange and mandarin peels retain their fragrance better than lemon and grapefruit (the latter is best to be avoided, because once dried, it tends to acquire a sulfuric note.) Dried lavender, rose and jasmine petals also have a rich color as well as pronounced scent. Cinnamon is a classical potpourri spice, but it is best to be careful about the dosage, as its aroma is sharp and penetrating. Potpourri does not generally rely solely on the odor of its components, but also needs to be scented. Vanilla extract and citrus oils are commonly available and can be used for perfuming your blends. If using oils, it is best to dilute them in alcohol for more even application. If you know how to sew, you can make pretty sachets and fill them with a fragrant mixture. Otherwise, transparent tulle bags are inexpensive, but look great, especially when the potpourri matches the color—blue with lavender, pink with rose buds, golden with jasmine petals, etc. If your gift recipient is a fragrance lover, a sample set might be a great idea. Many niche companies offer sample sets year round (Frédéric Malle, Ormonde Jaybe, by Kilian, Penhaligon’s, Atelier Cologne, etc. ), while department stores introduce sample sets for the holidays. Another option is to buy several elegant vials and create your own sample set. By luxurious, I do not mean the price, but rather the feeling of pampering and pleasure inspired by certain products. I still remember my pleasure at receiving a Caron swan down powder puff from a dear friend. Every time I use this bright fuschia puff to apply powder in the morning, I smile. Therefore, I have given these puffs as gifts on several occasions. In lieu of perfume, a dry body oil makes for an interesting and luxurious gift. Nars Monoi Body Glow (regular or with a shimmery tint) is excellent, both in terms of its warm jasmine-coconut fragrance and the way it leaves the skin glowing and soft (3.9 oz $59.) 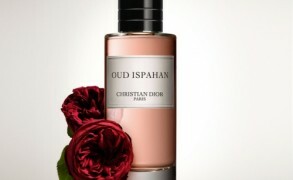 There are other options from Chanel, Donna Karan, Fresh, Diptyque and L’Artisan. While one has to be interested in both perfume and history to appreciate the impressive research contained in Perfume: Joy, Scandal, Sin – A Cultural History of Fragrance from 1750 to the Present by Richard Stamelman, there are perfume themed books that can engage even a person marginally interested in fragrance. Luca Turin and Tania Sanchez’s Perfumes: The A-Z Guide is quite entertaining. Tilar J. Mazzeo’s The Secret Of Chanel No. 5: The Intimate History Of The World’s Most Famous Perfume sheds some light on the iconic fragrance and keeps the reader in suspense as the narrative unfolds. A Scented Palace: The Secret History of Marie Antoinette’s Perfumer by Elisabeth De Feydeau is a fascinating glimpse into Marie Antoinette’s boudoir. Serious perfume lovers might appreciate Clara Molloy’s 22 Perfumers: A Creative Process as well as Jean-Claude Ellena’s Perfume: The Alchemy of Scent. If your gift recipient loves perfume and reads in French, there are many more interesting options: Les Parfums : Histoire, Anthologie, Dictionnaire by Elisabeth de Feydeau, Parfums Mythiques by Marie-Bénédicte Gauthier, Journal d’un parfumeur : Suivi d’un abrégé d’odeurs by Jean-Claude Ellena, La cuisine des Nez by Sabine Chabbert. Next: Part 2 with more fragrant and delicious suggestions. Suzanna: What a great post, V., and one filled with exciting gift ideas. I love giving and getting candles. As I write this, I am burning the Goutal Noel candle, the 2011 edition in the striped glass jar. Diptyque makes excellent seasonal edition candles as well. I love a couple of the Trapp candles for their floral scent, including Bob’s Flower Shoppe. A small “Bob’s” will scent a couple of rooms! Victoria: I love the range of shades for Caron's puffs. They are like an assortment of bonbons. Mine is fuschia, and I have purchased lilac, green and cream for gifts at different times. If I had a boudoir with a vanity table, I would love one more puff. And I keep mine in a glass candy bowl with a lid. Victoria: I love all spice cookies, and I'm planning to try some German gingerbread recipes this month. I also want to make stollen. Victoria: Caron powder puffs are a nice gift! I'm getting one for my mom. She liked using mine to apply her Meteorites powder. Victoria: They say that it is best to use candles within a year, but I have 3-4 year old candles that are still good, if not as strong. Just keep them covered and away from radiators or other warm places. Also trim the wick on regular basis and remove any soot that falls into the wax. It ends up contaminating the product and giving your candle an off-odor. Also, when your candle is burning, keep it in such a draft-free spot where it can burn steadily. That way, the wax will melt evenly. Also, it is best not to let the candle burn for too long, not more than 2h. If the entire pillar of wax melts, it will change the distribution of fragrance oil in the candle, and it will not be as strong the next your burn.